World of Warcraft makers Blizzard have been named as the most bankable games studio in the Develop 100 list, ahead of last year's leader Nintendo and British developers Rockstar North. The Emergent sponsored Develop 100 from Develop Magazine has been publishing its list of the most bankable developers for five years, and it is MMO giants Blizzard that currently head their rankings. 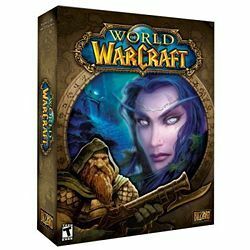 World of Warcraft is a massively profitable operation, with millions of people worldwide paying a subscription fee to adventure in the fictional world of Azeroth. A second expansion pack, Wrath of the Lich King was released in November last year, and jumped straight to the top of the bestsellers' list. Of the 26 UK studios listed in the hot 100 Rockstar North (3rd), Traveller's Tales (12th), Media Molecule (18th) and Lionhead (22nd) are all listed in the top 25.